The papers and reminiscences (1824-1859) of Threlkeld, who trained with the evangelical London Missionary Society, were published in 1979 and can be accessed for further research. 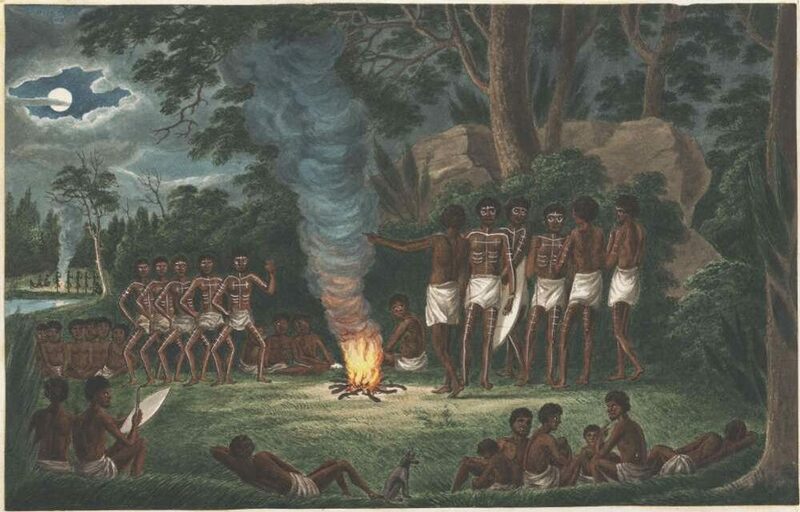 The singing and dancing he described may have looked like the Corroboree around a campfire painted by the convict artist Joseph Lycett in the Newcastle region circa 1817. A simple search of the database using the term “corroboree” reveals hundreds of records of corroborees across the continent between 1816 and 1927, the earliest being 300 men and women singing and dancing at Main Beach opposite George Rocks in Tasmania. The early settler who witnessed this event also recorded the name of one of the male performers: Tolobunganah. 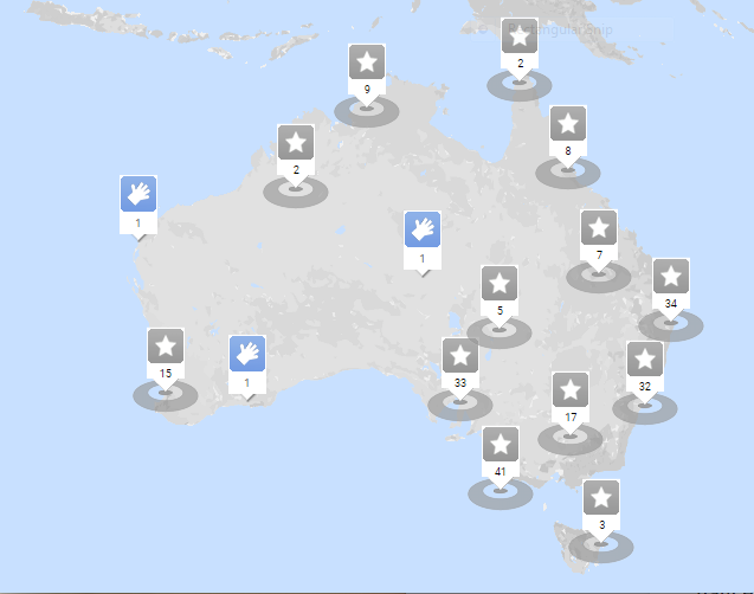 The first theatre production to be staged by white settlers in Australia appears in the database as well—the Irish playwright George Farquhar’s 1706 play, The Recruiting Officer. From its beginnings 18 years ago, AusStage is now recognized globally as the “gold standard” for open access records of live performance. Based at Flinders University, AusStage is the result of a pioneering collective research effort between 18 universities and industry partners. In May this year, the 100,000th record of live performance in Australia was added to it. A scan of this entry reveals convicts performed it in Sydney in 1789 “in a mud-wall hut in honor of the birthday of King George III”, and gives the complete cast list. 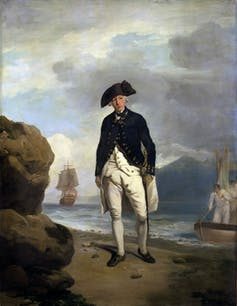 Captains Arthur Phillip and Watkin Tench were noted as in the audience. 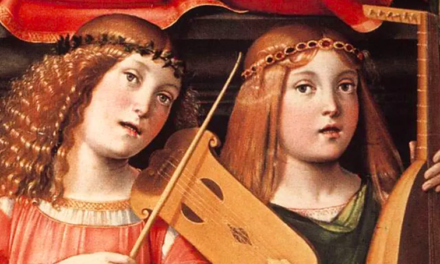 The database, which dates from 1789 to the present day, acknowledges the significance of professional and amateur performance for Australia’s performing arts ecology. Live performances in regional towns and rural locations are of equal importance to those in major cities; even animal and android performers are recorded. 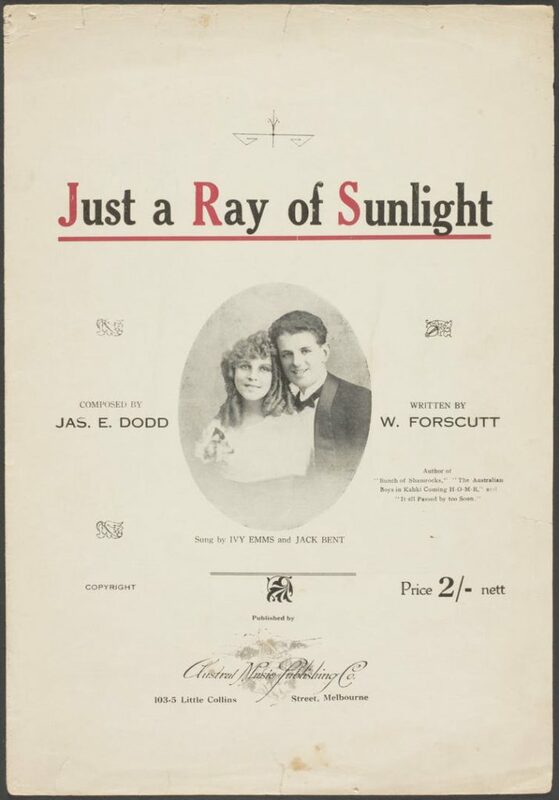 Delving deeper into our theatre history is made possible through AusStage’s links to records on books and articles held in other collections and domains. Entering the database is like going down the proverbial rabbit hole. It has the capacity to inform complex journeys of discovery on Australian theatre history, the production and consumption of commercial and non-commercial performance, and audience analysis. It also enables researchers to track artists’ national and international careers. For example, my current research on child actors between 1880-1920 is significantly helped by AusStage. 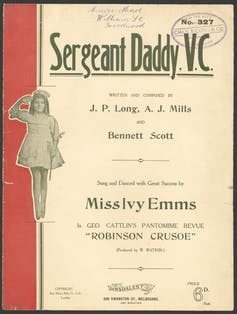 Ivy Emms (1905-1949) was a hard-working juvenile singer and dancer in regional Victoria during World War I. A search of the database reveals that 30 years after she performed patriotic songs in popular pantomimes, she was working as a choreographer at Melbourne’s Tivoli Theatre. (An obituary from The Argus states that she died after a brief illness.) AusStage makes visualization of her creative relationships possible. As of July 11, AusStage held records on 102,643 performance events, 142,285 contributors, 15,536 organisations, 17,170 works, 9,991 venues and 64,088 resources. During the period from January 1, 2018, to July 11, access to it has been from 138 different countries with 78% of the users in Australia. AusStage’s goal is to preserve and retrieve Australia’s performing arts heritage and make it freely available through digital means. Currently, research teams from 12 Australian Universities are developing visualizations of some of Australia’s historically significant theatre venues. This floor plan of Newcastle’s Victoria Theatre is just one element contributing to a digital recreation and 3D experience of the theatre and its colorful neo-Grecian interiors during its first year of productions, 1891-92. The Victoria is the oldest standing theatre in New South Wales. Remodeled in the 1920s when it was primarily a Variety theatre, the installation of cinema projection technology in the 1920s saw the Victoria host live performance and cinema for many decades more. Finally closed in 1999 and currently derelict, the theatre’s new owners, Century Venues, reportedly have plans to re-open it. AusStage is also facilitating research on historical theatres, using virtual technology. Several projects are building VR versions of Australian theatre venues that no longer exist. From these models, we can understand how performance in them operated. 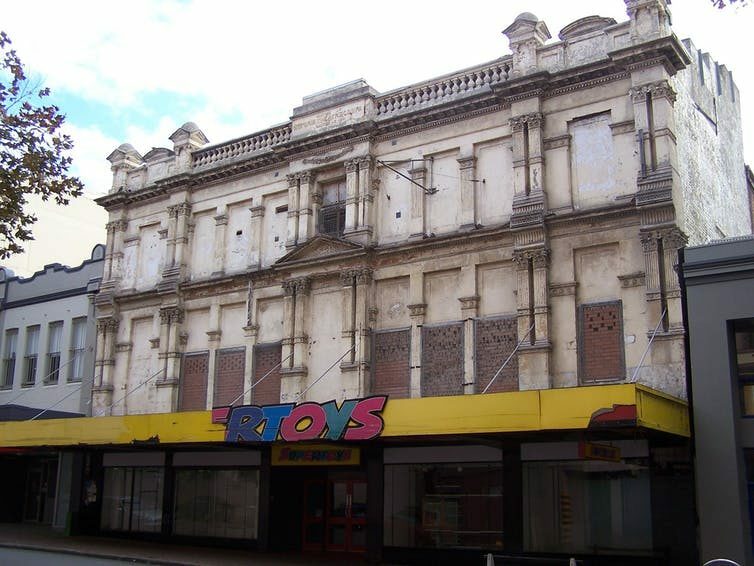 Ian Maxwell of the University of Sydney is looking at two lost theatres of Sydney. The Royal Victoria Theatre on Pitt St, which opened in 1838 with a production of Othello, was a grand, state of the art building accommodating 1900 spectators. The Paris Theatre, with a façade designed by Walter Burley Griffin, was located on Whitlam Square. 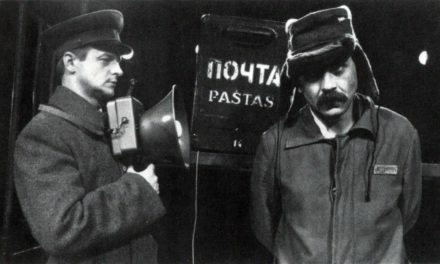 In 1979 the Paris was home to the Paris Theatre Company, the short-lived experimental precursor to the Sydney Theatre Company under the direction of Jim Sharman and Rex Cramphorn. The Royal Victoria burnt down in 1880, while the Paris was demolished in 1981 to make way for a residential high-rise. These are just several of the dozens of projects that have been or are, facilitated by the database. “Capturing lightning in a bottle” is the phrase sometimes used to describe what AusStage does. It sums up the fragility and excitement of the task. The performing arts are ephemeral events, physically passing from the world once they cease to be presented to audiences. AusStage ensures they do not pass from our historical memory. 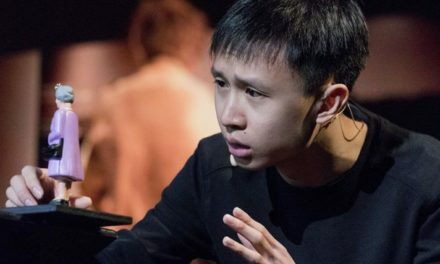 This article was originally published in The Conversation on July 26, 2018. It has been reposted with permission. Read the original article.